Have you noticed that your website hasn’t been getting very much traffic lately? Your traffic is low, your ranking on Google is low and you don’t know why? The reason could be that your website has been attacked by negative SEO. 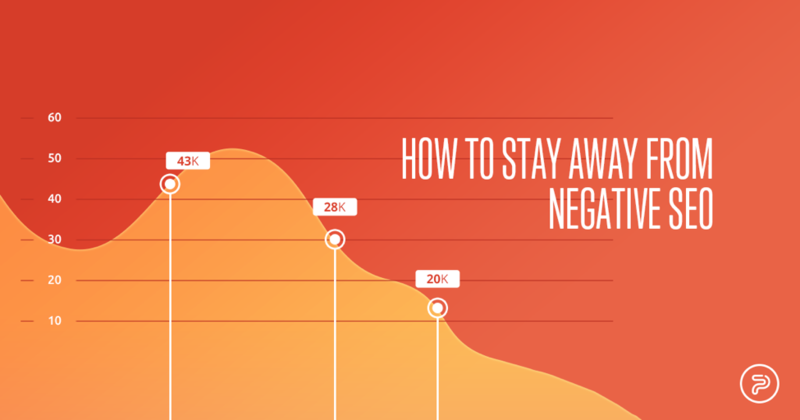 The first important thing you need to know about negative SEO is how it is defined. After all, you won’t be able to fix it if you don’t know what it is. Knowing what it is gives you the opportunity to monitor it. Negative SEO occurs when a competitor buys and points low quality links to your website in order to destabilize it in the eyes of Google. This causes it to receive a penalty from Google. Simply put, after a Negative SEO attack to your website Google sees it as “unworthy” of a high ranking. Once your website is ranking low, you receive less traffic. Your website becomes virtually invisible to web users. Aggressive competitors will try to take down subpages, as opposed to the homepage. This is because subpages are more susceptible to rich text links. Homepages, on the other hand, can often fight off such attacks. Spam Attacks: Single or Multiple over Time? Using a phrase as a single anchor, spam attacks often times are in the form of a single attack comprising several attacks in the same day. On the other hand, there may be many attacks occur over the course of 3-6 months. Is Your Website New or Established? New websites with few natural back links are more susceptible to negative SEO attacks. Established websites with many natural back links are much harder to infiltrate. Of course, your competitor’s motive is to make your website invisible to customers. However, there is another motive for their attacks. They will use low-quality negative SEO links to help boost the strength of links pointing from your site to their site. This helps build their website’s rankings and traffic. First, analyze and see what page(s) were attacked. Was it your homepage, a subpage, or a combination of both? Then, check to see if your traffic has decreased. Finally, see if you have an unnatural link warning. If you do, you must submit disavows to both Google and Bing, and send them reconsideration requests. Being on top of your website and knowing everything about its ranking and traffic is vital when it comes to negative SEO. Your competitors will use negative SEO to get into your site and make it undesirable to Google. If your site is established, it is less vulnerable in this case, you can hire someone for Reputation Management Service. Google has taken this website warfare more into consideration in the past year. If your website has been attacked, be sure to submit disavows and reconsiderations to both Google and Bing.